Overview… a successful academic who seems to be failing at the rest of life. Frank is the number one Proust scholar in the world, but recently failed at committing suicide. That tragic (or nearly tragic) turn of events began when he fell in love with one of his graduate students, who subsequently left him for the number two Proust scholar in the world. Soon Frank was heartbroken, out of his job, and forced to watch his romantic and professional rival prosper. He survived his suicide attempt and was released into the custody of his sister, Sheryl Hoover, and her dysfunctional family. 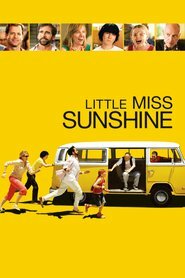 Now, due to logistical and financial issues, he’s being forced to accompany them on a 700-mile road trip so his niece Olive can compete in the Little Miss Sunshine Beauty Pageant. Personality… depressed, mostly. Frank has hit bottom and just wants to be dead. The only reason he doesn’t immediately try to kill himself again is because he can’t bear to inflict the guilt on Sheryl and her family. Still, in the rare moments he escapes his perpetual state of malaise, Frank is clever, sarcastic, and gifted with a sharp sense of irony. Frank Ginsberg's popularity ranking on CharacTour is #1603 out of 5,000+ characters. See our top-ranked characters and read their profiles.